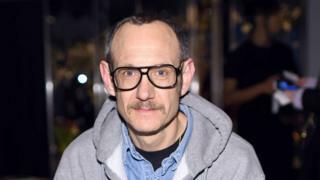 Fashion photographer Terry Richardson will no longer work with top magazines including Vogue and Glamour after being dropped by Conde Nast International. Staff at the media group were told the move takes place with immediate effect. Richardson has previously faced accusations about the treatment of models but always denied any exploitation or misconduct. Conde Nast International confirmed the content of the email, first reported by The Daily Telegraph. In a statement on Tuesday, a representative for Richardson said the photographer was known for his "sexually explicit work", adding that "the subjects of his work participated consensually". "Terry is disappointed to hear about this email especially because he has previously addressed these old stories," it adds. Conde Nast International publishes 143 editions of magazines including GQ, Vanity Fair, Wired and Conde Nast traveller. The group's executive vice-president James Woolhouse sent the message instructing staff to drop Richardson on Monday. He told "country presidents" of magazine titles that any photography shoots by Richardson that had already taken place, but not been published, should be replaced with other images. He wrote: "I am writing to you on an important matter. Conde Nast would like to no longer work with the photographer Terry Richardson. "Any shoots that have been commission(ed) or any shoots that have been completed but not yet published, should be killed and substituted with other material. "Please could you confirm that this policy will be actioned in your market effective immediately. Thank you for your support in this matter." Richardson is known for his sexually explicit photo shoots of stars including Kylie Jenner, who had a calendar shot by him. He has also directed videos like Miley Cyrus's Wrecking Ball and Beyonce's XO. In 2014, the 52-year-old wrote an article for The Huffington Post in response to the "internet gossip and false accusations" against him. He wrote that sexual imagery formed a part of his photography, adding: "I have never used an offer of work or a threat of rebuke to coerce someone into something that they did not want to do." Richardson also referred to a 2004 gallery show which "depicted sexual situations", saying he had "collaborated with consenting adult women who were fully aware of the nature of the work". No new claims have been made about Richardson but previous allegations have resurfaced in a recent article in the Sunday Times.